If you click here you will go to Wikipedia which tells you all about Alizarin! 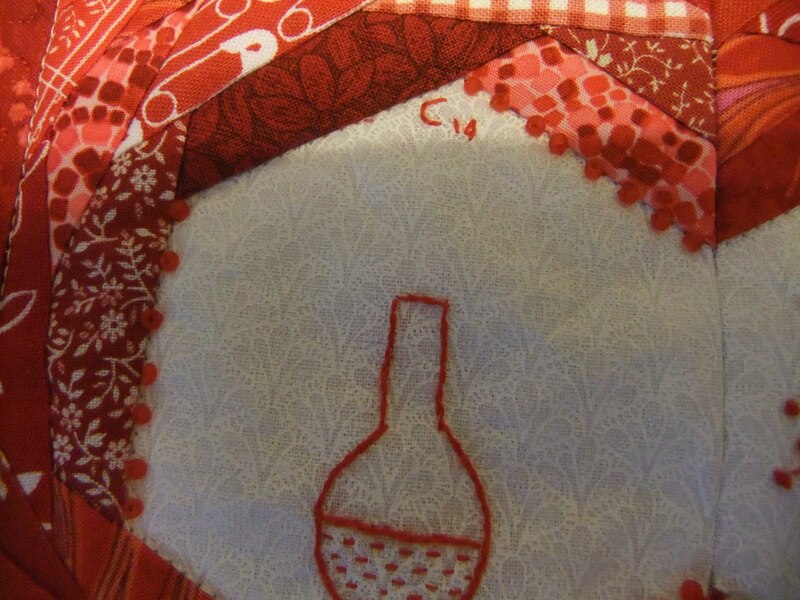 The quilt is red work with beads and crazy quilting techniques. 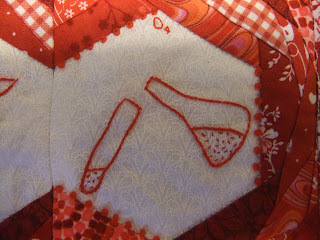 It measures about 10 inches by 7 inches. 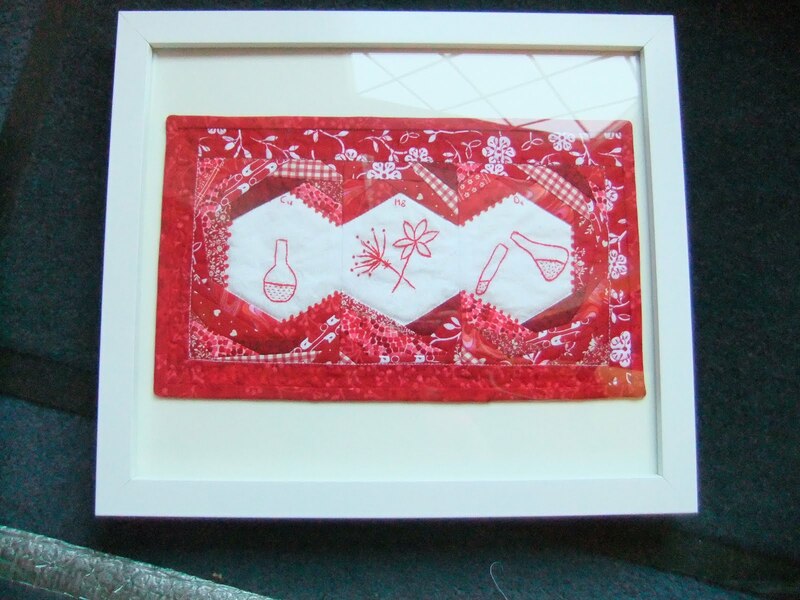 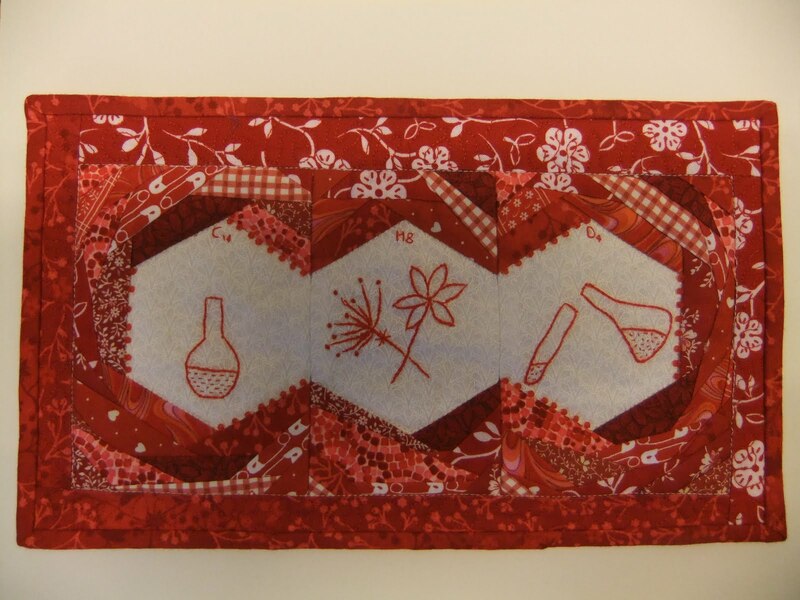 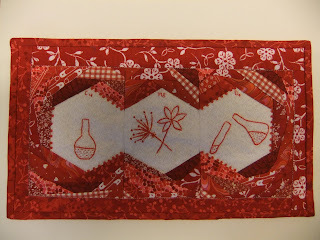 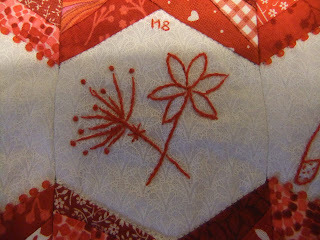 On the border is free motion machine quilting stippling; but you can't see it because it is red thread.